The Adjustable spray gun by CK has a comfortable ergonomic design with a lockable on/off trigger to allow the users have it constantly on or off. 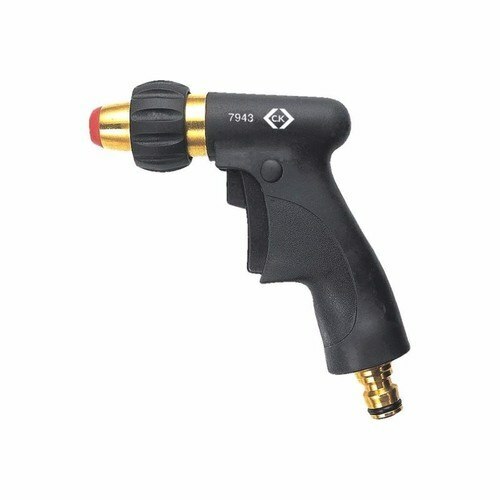 The spray gun has an adjustable nozzle that ranges from spray to jet. This product can be used to wash cars, plants, windows and other such needs. Unites with ck 7703, 7713 and 7733 hose connectors.